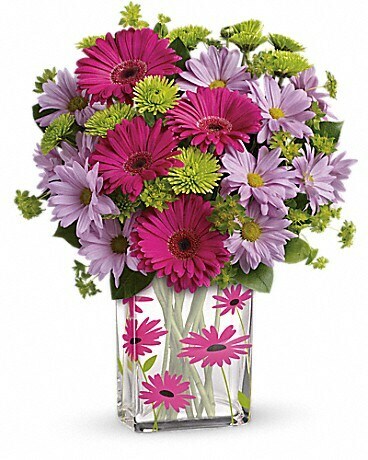 Make their day with daisies! 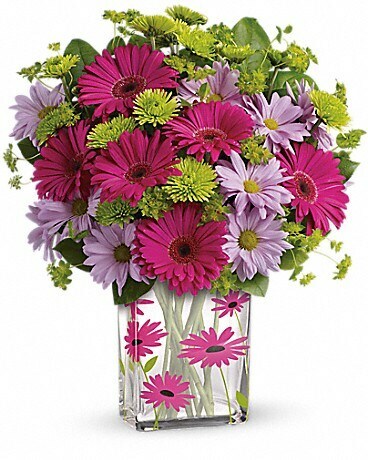 From the delightful, daisy-adorned vase to the gorgeous gerberas inside, this gift of gratitude is sure to bring a smile to their face. 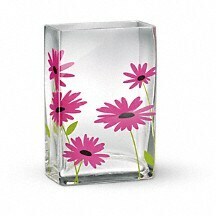 This contemporary rectangular glass vase with hand-applied fuchsia daisies is from Teleflora's exclusive Flowers-in-a-Gift collection. 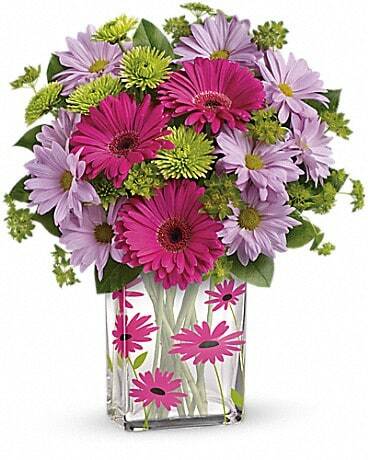 It is the perfect gift to say "Thank You!"